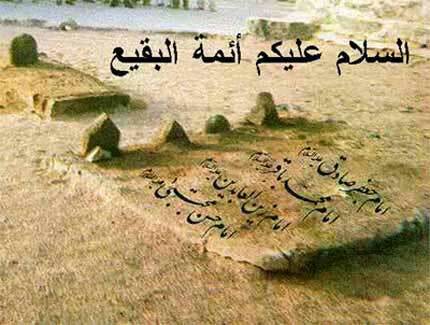 Muhammad bin Salih al-Tammar said: Safwan bin Sulaim would visit Baqi on some days and pass by me. One day I followed him and said: I will look to see what he does. He covered his head and sat by a grave, he continued to weep till I felt sorry for him and I thought it was the grave of one of his family. He passed by me another time and I followed him, and he sat next to another grave and did the same. I mentioned this to Muhammad bin al-Munkadir and said: ‘I thought it was the grave of some of his family’. Muhammad said: ‘All of them are his family and brethren, he is a man whose heart is moved by the remembrance of the dead each time it feels hardness’. Safwan died in the year 132 and lived for 72 years. I really love your blog and Ive translated one of your entries on our blog http://blog.ahlu-sunnah.de – the only ahlu sunnah blog in german. Next Post: Hows the weather?